The occurrence has resulted in at least two students, twin boys, not being allowed to participate in the school’s graduation ceremony on Tuesday, June 20, 2017, although they will receive their diploma. The situation riled social media because of the twin boys mother’s explanation of the matter, and has elicited strong feedback from many who deem the matter unfair. But the mother’s post on Facebook does not tell the story of what really happened during the fracas, which some say was a seniors prank gone bad at the end of the school day on June 7, 2017. Seventeen seniors were caught on the school’s surveillance cameras as participating in the incident, according to D.O.E. 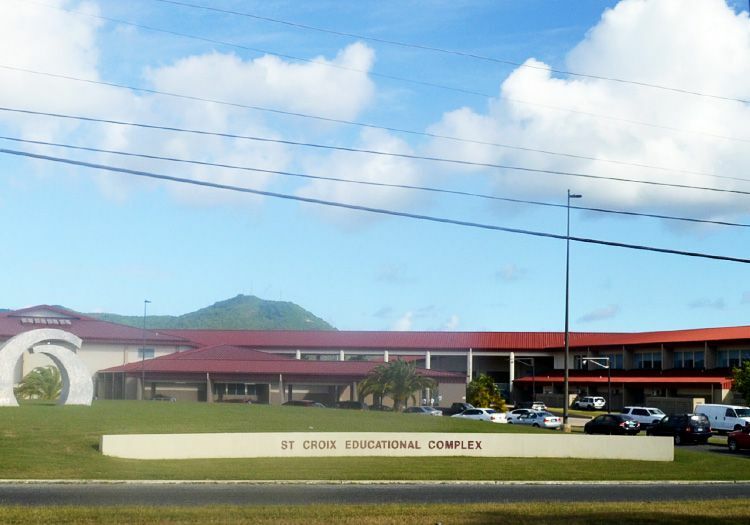 SCECHS administration called a meeting with the parents and students, and revealed what school officials came up with as the consequences of the students’ behaviour. Students were given two options: They would receive their high school diplomas, but could not participate in the graduation ceremony on June 20, or they would participate in a week-long community service that involved cleaning the SCECHS campus grounds during the hours of 8:00 AM to 3:15 PM, and in turn participate in the graduation ceremony. D.O.E. said the school’s administration received overwhelming support from the affected parents, with most opting to have their children complete the community service. But the twin boys’ mother, Jeanine Boirard, was between a rock and a hard place. Her sons were set to travel to Puerto Rico to participate in a football scouting event that could possibly net her children scholarships. Yet, she wanted her boys to walk across the aisle and receive their high school diploma, an accomplishment she said they had worked hard to achieve. She lobbied school officials for an exception, but officials did not budge. One of her sons, she said, offered to stay and do the community service so his brother could travel to Puerto Rico, with the hope that both of them would be allowed to participate in the graduation ceremony on Tuesday, but school officials, she lamented, were immovable in their stance. D.O.E. told The Consortium that parents must understand that there are consequences to bad behaviour, referring back to the incident as one that could have turned out with more people being injured. The department pointed to the time the melee occurred, which was at the end of the school day when parents were picking up their children. D.O.E. also said that some people only narrowly escaped being harmed, adding that it was the seriousness of the matter that prompted parents whose children were involved to immediately agree with the administration’s punishment — with some assailing their children for being involved in the incident. The D.O.E. statement added that much of the information circulating on social media was incorrect. “The incident described and the resulting repercussions students faced have generated considerable discussion on social media. Much of that discussion is based on a great deal of misinformation,” it reads. D.O.E. also emphatically expressed its support for SCECHS officials. The twin boys wound up traveling to Puerto Rico to participate in the scouting event, and so they will not be allowed to participate in Tuesday’s graduation. Reading this says a lot. The school has demonstrated it not who you are but what you have done. It takes a village to raise a child. The punishment for this prank gorn wrong is warranted. All the students should have also write letters of apology. If I were the teacher injured, I'd seek personal justice with the law. That mom should have let those kids walks because it's hard to keep a scholarship with a pending felony and criminal record. Kids need to learn there are actual serious consequences for their actions and stop replicating every nonsense they see on TV. What was the actual incident?